LG’s 32 inch 32LF500B model is a perfect fit for those who know everything about TV’s to those who may not understand as much. For users who just want to sit down and watch a show, to those who love Netflix and Hulu, and finally to the gamers who are in need of HDMI and USB ports, this TV has it all. This monitor includes 3 HDMI ports, 2 USB ports, as well as 1 component, composite and audio out port. 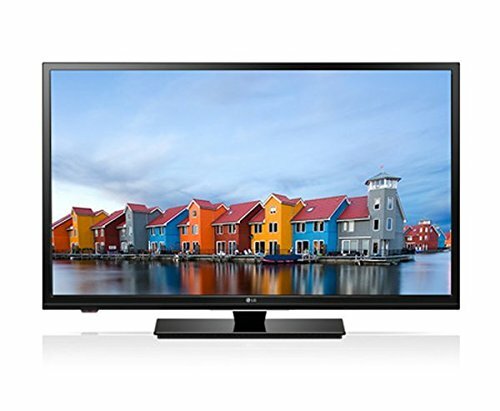 A direct LED backlight gives the entire 32-inch screen a beautiful glow and on top of that it is very well priced. Boasting an outstanding 720p image quality, this monitor is perfect for gaming; all HDMI compatible consoles are able to plug into any of the three ports. Or, if you want to play something a little more old school, the component, composite and audio out ports are there for your disposal. The LED backlighting makes this screen great to use in any kind of lighting. You don’t have to worry about that annoying glare when trying to play something during the day. However, if you prefer playing in a dark room or at night, picture quality will stay just as pristine with the LED. One of the greatest things about this particular model is the fact that it is Energy Star Qualified. This means that this TV uses a low amount of energy and emits little to no greenhouse gasses, while still giving you a high definition resolution. On top of helping the environment, it is also helping you save money once the monthly energy bill comes around. Only certain equipment boasts the Energy Star label making this a pretty big deal. While this is a very decently priced television, the monitor is only 32 inches around which is smaller as far as TV’s go. It can be used with a stand or can be mounted on a wall. While on a stand the entire set up is 29″ wide, 19.1″ high and 7.1″ deep. Without a stand, usually when mounted, are 29″ wide, 17.3″ high and 3.6″ deep. As far as the price to quality is concerned, the size of the monitor is small but the price point is spot on. You get plenty of HDMI and USB ports with which you can plug in game consoles, Blue Ray players and cable boxes too. The monitor can also be used as a computer screen by connecting a cable to both. While it is not a ‘smart TV’ a number of ports it includes makes up for it.